John Dewey was an American philosopher and educator who helped found pragmatism, a philosophical school of thought that was popular at the beginning of the 20th century. He was also instrumental in the progressive movement in education, strongly believing that the best education involves learning through doing. John Dewey was born October 20, 1859, in Burlington, Vermont. He died June 1, 1952, in New York City, New York. 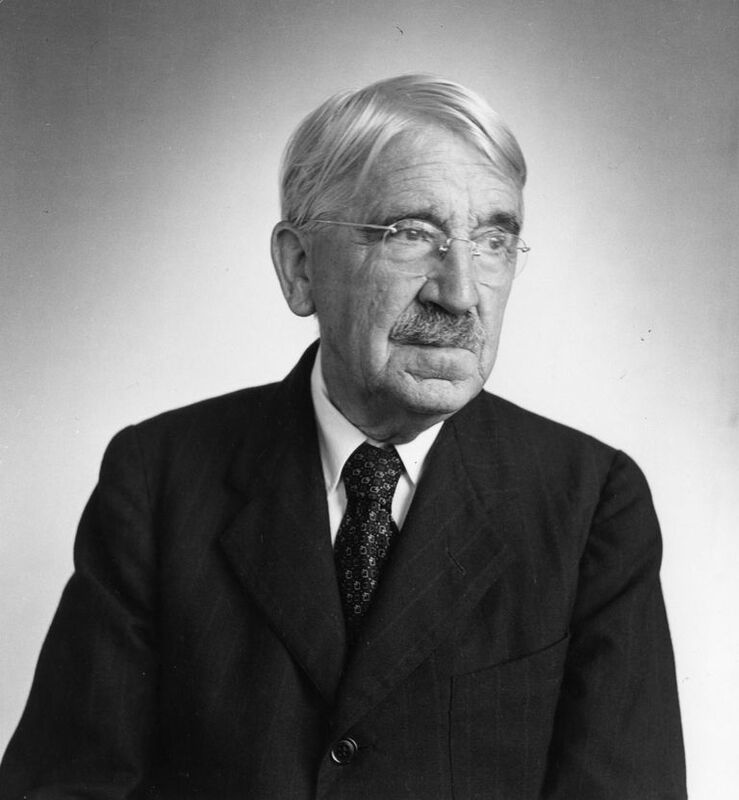 John Dewey graduated from the University of Vermont and spent three years as a high school teacher in Oil City, Pennsylvania. He then spent a year studying under the guidance of G. Stanley Hall at John Hopkins University in America's first psychology lab. After earning his Ph.D. from John Hopkins, Dewey went on to teach at the University of Michigan for nearly a decade. In 1894, Dewey accepted a position as the chairman of the department of philosophy, psychology, and pedagogy at the University of Chicago. It was at the University of Chicago that Dewey began to formalize his views that would contribute so heavily to the school of thought known as pragmatism. The central tenant of pragmatism is that the value, truth or meaning of an idea lies in its practical consequences. Dewey also helped establish the University of Chicago Laboratory Schools, where he was able to directly apply his pedagogical theories. Dewey eventually left the University of Chicago and became a professor of philosophy at Columbia University from 1904 until his retirement in 1930. In 1905, he became President of the American Psychological Association. Dewey's work had a vital influence on psychology, education, and philosophy and he is often considered one of the greatest thinkers of the 20th century. His emphasis on progressive education has contributed greatly to the use of experimentation rather than an authoritarian approach to knowledge. Dewey was also a prolific writer, publishing over 1,000 books, essays, and articles on a wide range of subjects including education, art, nature, philosophy, religion, culture, ethics and democracy over his 65-year writing career. Dewey firmly believed that education should not just be teachers making students learn mindless facts that they would soon forget. He thought it should be a journey of experiences, building upon each other to create and understand new experiences. Dewey also felt that schools tried to create a world separate from students' lives. School activities and the life experiences of the students should be connected, Dewey believed, or else real learning would be impossible. Cutting students off from their psychological ties, i.e., society and family, would make their learning journeys less meaningful and thereby make learning less memorable. Likewise, schools also needed to prepare students for life in society by socializing them. Dewey, J. (1897). My Pedagogic Creed. School Journal, 54, 77-80. Hickman, P. (2000). John Dewey. Muskingum College, Department of Psychology. Martin, Jay. (2003). The Education of John Dewey. Columbia University Press. Neill, J. (2005). John Dewey, the Modern Father of Experiential Education. Wilderdom.com. Soltis, J.F. "Dewey, John (1859-1952)." Encyclopedia of Education, The Gale Group Inc. (2002).